Love Soul Choir | Sing It. Live It. Love It. Sing it. Live it. Love it. Based in Southampton & Bournemouth, UK. We’re changing the meaning of the word ‘choir’. 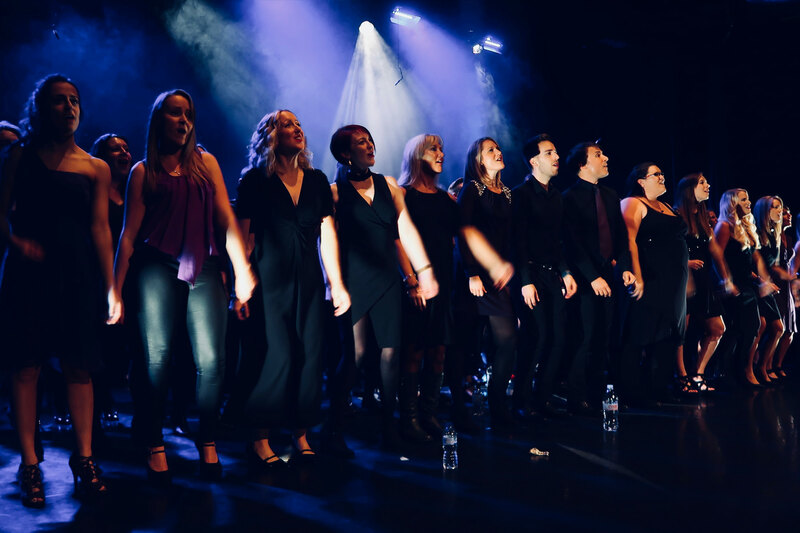 Love Soul Choir is an auditioned pop and soul group for over 18’s. 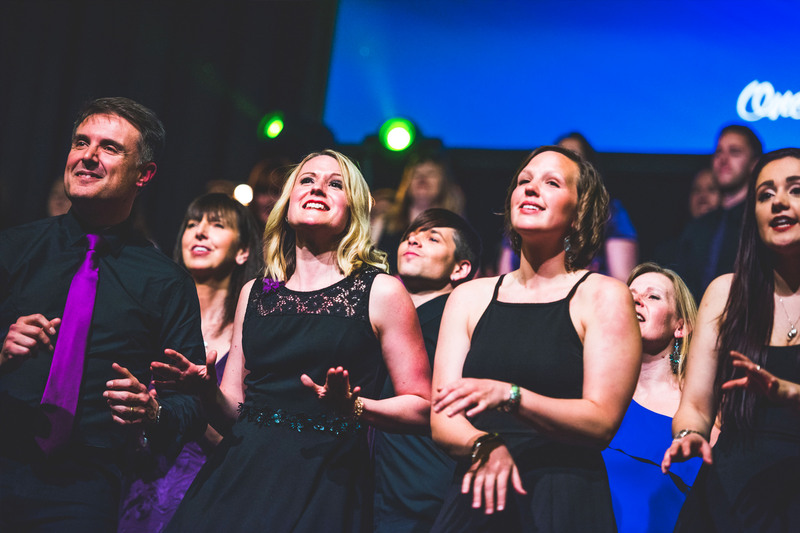 With sessions taking place every Monday evening (in Southampton) and Tuesday evening (in Bournemouth), we learn unique and contemporary arrangements of popular songs ready to perform regularly at weddings, events and our very own theatre shows across the year. 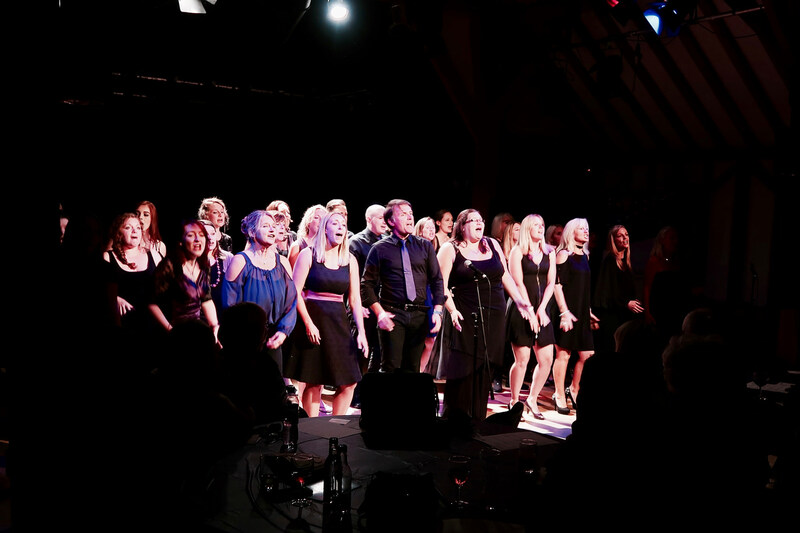 Intricate harmonies, the occasional lead vocal and great song choices leave our audiences speechless time after time. With a group of talented and passionate individuals, we create a sound and put on a show like no other. I love everything about Love Soul Choir. I’ve never known such a close knit group of people. I honestly look forward to it all week. There’s a really nice mix of song types. 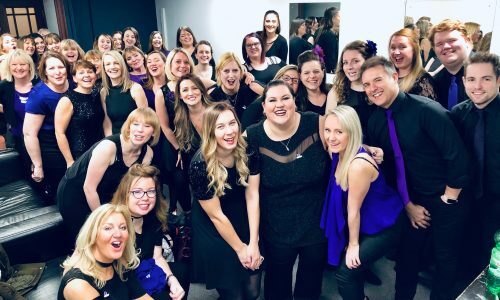 Why did you choose to join Love Soul Choir? 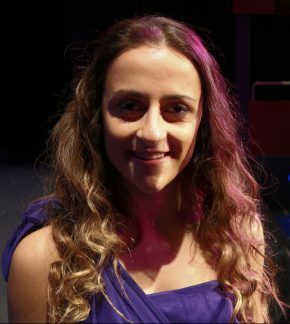 I joined Love Soul because I wanted a way back into music and to enjoy the social aspect of singing in a group. It had been years since I did anything musical and it’s hard to ignore your passion for long! 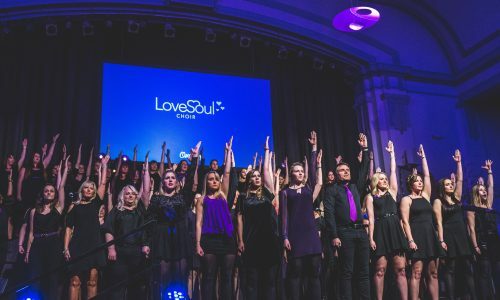 What’s your best memory of Love Soul Choir so far? 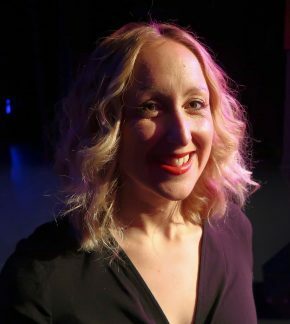 Writing this today (4th December 2017) I have to say my best memory would now be the Winter Show from this weekend – on a totally different level to last year and other performances! What’s the best part of Love Soul, for you? I love everything about Love Soul Choir. The people, the music, the camaraderie and how it is so tight and professional, but relaxed and enjoyable at the same time. There’s a great mix of songs for all tastes from recent hits to timeless classics & iconic pieces everyone will know. What would you say to somebody who might be scared of auditioning? Just give it a go! There’s no judgement in auditioning for the choir and if you don’t try, you’ll never know, right?! I suppose this is where I should say ‘Love Soul IS life’… but in all seriousness, it’s an amazing thing to be a part of. The group of people you sing with are incredible and there is such a buzz every time we perform. I was accepted from week one and have never looked back. 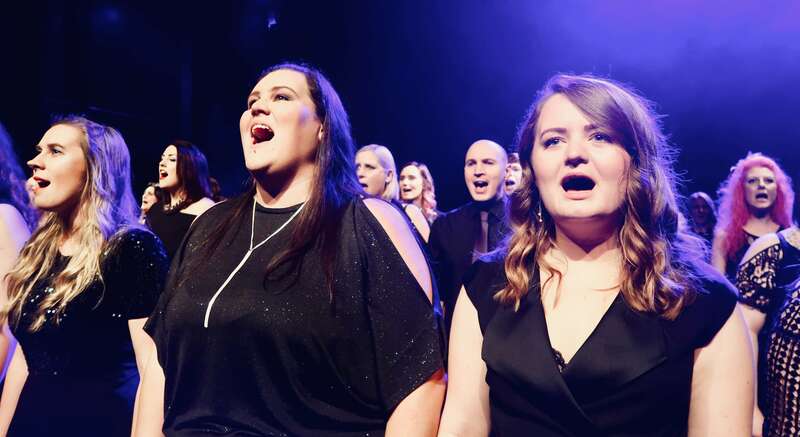 I’d been thinking about joining a choir for a while but when I saw the video of Love Soul Choir’s involvement in the ‘Fix You’ flashmob (which made me emotional even on video) I just thought I HAVE to be part of this! 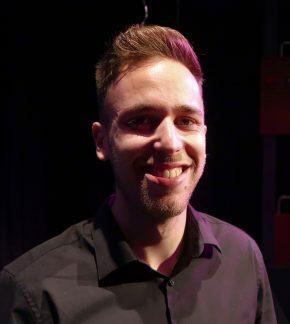 I was also looking to build my confidence with singing publicly which I’ve always struggled with. It has to be performing my solo part to my favourite Stevie Wonder song at the 2017 winter show. The harmonies were so powerful and I totally got lost in the music. It was a dream come true! It’s difficult to say, there’s so much I love about Love Soul! 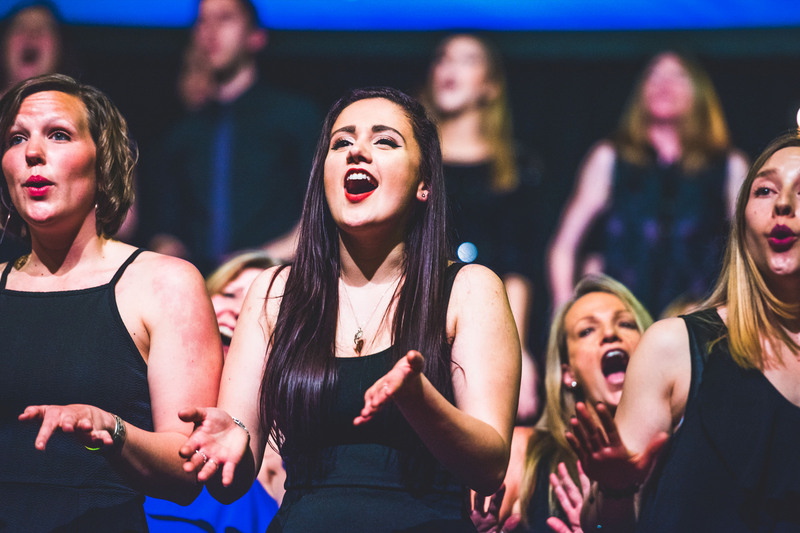 Aside from the incredible sound, it’s the family vibe between the whole choir across Southampton and Bournemouth. The music unites us, we leave our problems at the door and when we sing together it’s just nothing but love and soul (hence the name!) I’ve never known such a close knit group of people of such a range of ages and backgrounds before. I felt so welcome even from day one. Feel the fear and do it anyway! 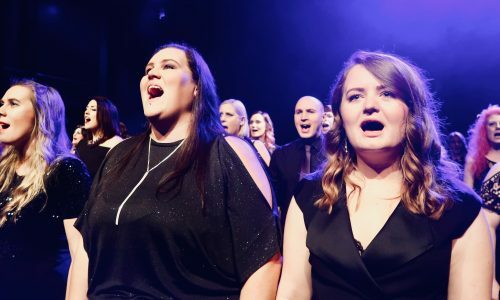 It’s normal to feel nervous but if you knew what was awaiting you on the other side – the laughs, the feeling of being part of a family, the stress release of singing in a choir and the feeling of uplifting others with every performance, it would be a no brainier. Get involved, we’ll all be waiting with open arms! 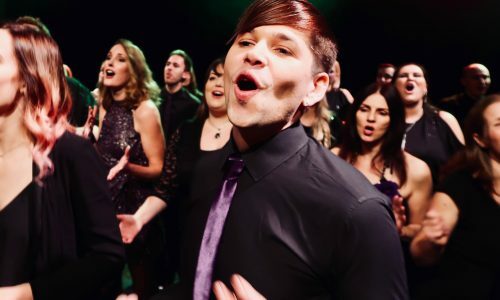 I wanted to be part of a choir to be proud of, who worked hard at producing professional performances but also had fun rehearsals and a style of songs I liked. It has to be our involvement in the flash mob at Westquay, when we brought the centre to a standstill, with our version of Coldplay’s ‘Fix You’. People stopped to listen and were either smiling or crying. It was emotional, uniting and uplifting all at the same time. When we finished, I got in the lift to the car park and heard some people talking about how amazing it was. I just listening quietly, with a smile on my face, knowing I was part of that amazing group of people. I honestly look forward to it all week and am disappointed when it’s over. It is 2 hours when I totally switch off from the stress and responsibilities in life. I suppose it’s my therapy and it’s very effective therapy! There is a cross section of songs from mass appeal Abba to right up to the minute Ariana Grande. 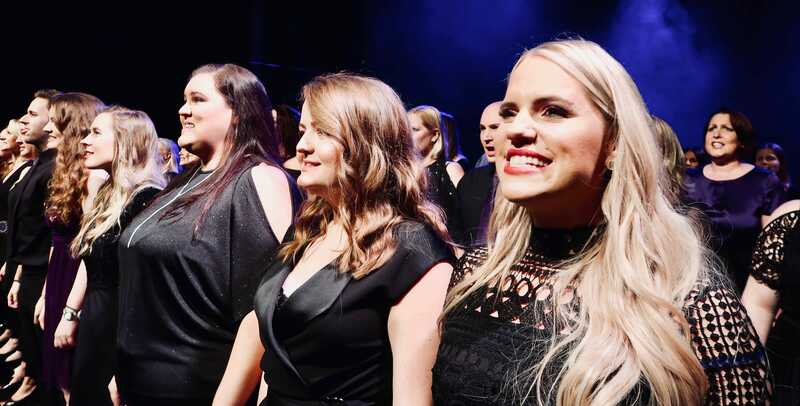 We cover fantastic classics such as Elton John’s ‘Sorry Seems To Be The Hardest Word’ and Stevie Wonder’s ‘Signed, Sealed, Delivered’ as well as really romantic songs by Ed Sheeran and John Legend. There is something for everyone with beautiful arrangements, some up to 8 part harmony! It’s a few minutes out of your comfort zone to change your life for the better. Go for it! 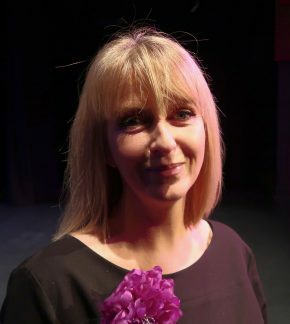 I had just sung a song at my friend’s wedding and loved every minute of it, so was looking for a choir where I could have the chance to sing more often and as a collective. Nothing beats that feeling! One of my favourite memories is my first ever session. One of the members brought some glow sticks (leftover from their Halloween party), so we had a full on rave up at the end of the session. It was brilliant! Best sober fun ever! It makes Mondays one of my favourite days of the week – how many people can say that?! There’s a really nice mix of song types. And the variety of tracks mean you get to challenge your individual vocals along the way. Don’t be! I promise there is NOTHING to be scared about. Dan puts you completely at ease and once you get in, you won’t look back! Joining Love Soul is one of the best things I’ve ever done. It’s allowed me to push myself out of my comfort zone, find some headspace for myself and make friends for life! Sign up for that audition – you won’t regret it! We aim to reply to all enquiries within a couple of days. If you would like to apply for an audition with us, please visit this page. We’d love to hear from you!